LAS VEGAS, CES 2010, Central Hall, Booth #9817, Jan. 6, 2010 – DMC Worldwide (DMCWW), a leading enterprise and consumer technology company, today introduced its suite of COPIA (www.thecopia.com) e-readers and related accessories. 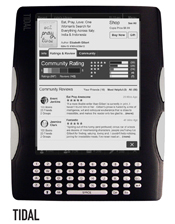 The e-readers, branded OCEAN and TIDAL, are full-featured wireless reading devices that enable users to connect with the COPIA (www.thecopia.com) community to discover, enjoy, share and purchase digital content including books, newspapers and magazines. 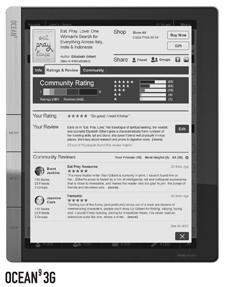 The COPIA e-readers offer an immersive and connected reading experience. The suite includes both monochrome e-paper-based touchscreens and panels with robust Wi-Fi or 3G wireless connectivity and advanced color e-readers designed for rich content. Each device is designed to extend the collaborative online experience of COPIA, a device-agnostic platform that DMC Worldwide unveiled today. "The COPIA platform – including the online community, e-commerce engine and broad suite of devices – were designed to satisfy consumers' ferocious appetite for content consumption, as well as a shared experience," said Ben Lowinger, EVP, DMC Worldwide. "The devices match perfectly to the experience of reading a book, magazine or newspaper, and both TheCopia.com and COPIA e-readers offer a compelling online and hardware platform to deliver entertainment content through an experience which creates communities, drives commerce and fosters collaboration." COPIA e-reader users can instantly connect to TheCopia.com, a device-agnostic, online destination that enables readers of all ages to experience a completely new way to discover, enjoy, share and purchase books, newspapers, magazines and a wide variety of digital content. COPIA combines a compelling social networking experience, collaboration and intuitive shared discovery with meaningful reading content. 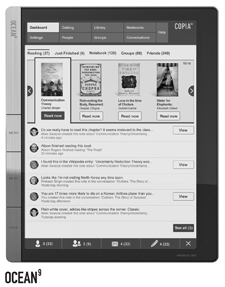 Students, as well as book groups, can highlight, annotate and connect to each other directly from the COPIA e-readers to the online COPIA community. The COPIA e-reader users will have access to a compelling array of content across best-sellers, popular titles, textbooks, public domain titles and an array of additional entertainment content, with new content being added daily. Current and future content agreements can be found at www.thecopia.com/press. 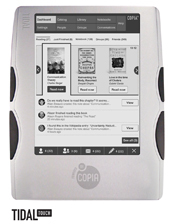 The COPIA e-readers will be available for purchase online in April 2010 and at retail by June 2010 with prices ranging from $199- $299 (MSRP). TheCopia.com will begin its private, limited-invitation beta in Jan. 2010. The public beta will launch in March 2010. 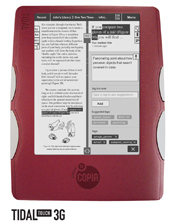 For more information on the COPIA e-readers, including hi-resolution images and a press release on the entire COPIA solution, please visit TheCopia.com media web site at www.thecopia.com/press. 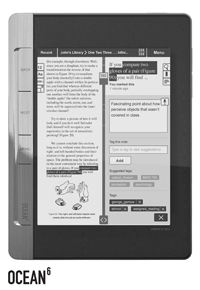 DMC Worldwide will display the COPIA e-reader lineup and demo the COPIA experience at CES 2010, Central Hall, Booth #9817. To schedule a briefing, please contact dmc@cohnwolfe.com.